What seems like thousands of sunflower seeds spread across an remarkably open exhibition space are actually hand crafted replicas of sunflower seeds. Ai Weiwei’s exhibition at the Tate Modern in London accomplishes a number of objectives. It overwhelms the senses to take in the landscape he has created. 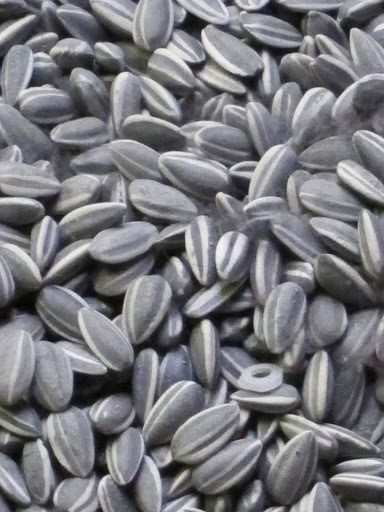 It is difficult to comprehend the idea of hand-crafting 100,000,000 sunflower seeds. The project employed numerous individuals in the Chinese city of Jingdezhe, giving purpose to these crafts people. Remarkably the exhbition created a market. Of the individuals who were standing near us when we took-in the exhibit, many wondered aloud if replicas of the original sunflower seeds were for sale at the museum’s gift shop. No replicas existed but I imagine small bags of the artistic sunflower seeds would have been a massive seller, giving even more work to the trades people who produced them. Sold elsewhere without the context of the exhibit, the sunflower seeds would have been considered trinkets competing for shelf-space with other tourist gifts. 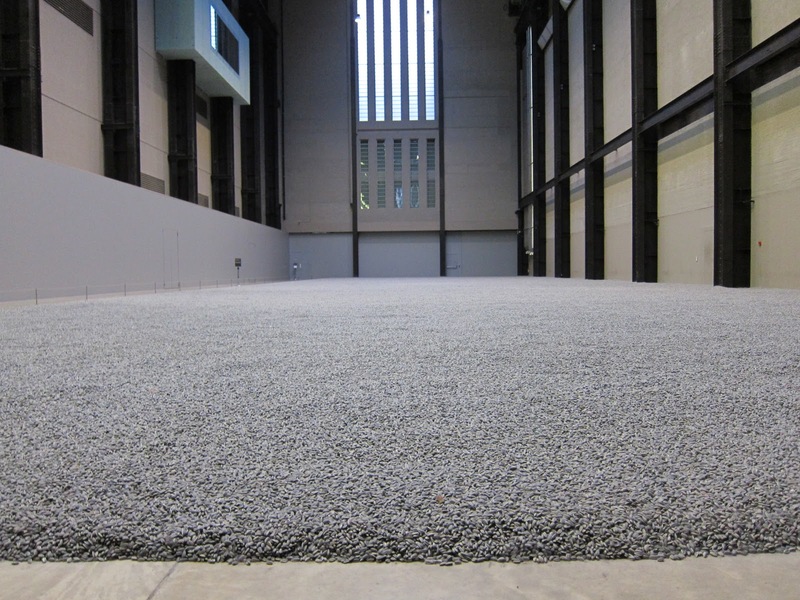 But once placed in the Tate’s Turbine Hall and given meaning, the value of the seeds increased significantly. Are you producing context for what you hope others will value?